Settled between Houston and Corpus Christi along the banks of the beautiful Guadalupe River, Victoria is full of surprises. From birding and kayaking to listening to live music and touring a zoo, you’ll find a spectacular array of things to see and do here. Oh, and we didn’t even mention the barbecue and all the casual and upscale restaurants, and other treasures to uncover in what is one of the Lone Star State’s oldest towns. Read on to see why you should already be planning your next road trip out to Victoria. When it’s time to go two steppin’, you’ll find more than you can handle in Victoria. The city is a dream destination for live music lovers thanks to its unique places where the tunes of country, rock and roll, and everything in between reverberate. Start at Moonshine Drinkery, where performers from around Texas bring down the house on select Wednesdays, Thursdays, and Saturdays. Come for the music and stay for the out-of-this-world hand-crafted cocktails and specialty moonshines. If you prefer to pair your live music with a pint of delicious craft beer, find your way to Aero Crafters Beer Garden & Gastropub, which boasts a large selection from Texas and beyond. Of course, no one can listen to all this great music without wanting to get out on the dance floor. Where better to do so than Schroeder Hall, the second oldest dance hall in the Lone Star State? This iconic venue between Victoria and Goliad has hosted big-time country music acts like Willie Nelson and Merle Haggard since it first opened its doors in 1890. 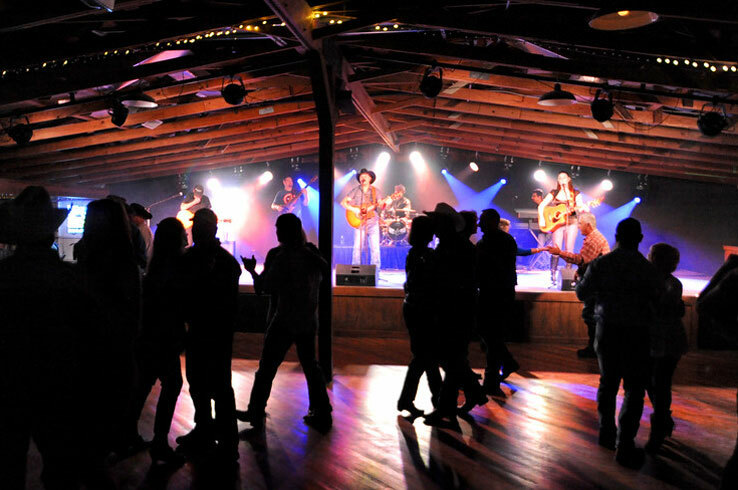 Shows are held every Friday and Saturday night, so get your tickets, put on your finest pair of boots, and dance the night away at this Texas institution. Admire the works of local artists, enjoy a night out at the theater, and take in an awe-inspiring performance of the professional virtuosos of a symphony orchestra. These are a few of the ways you can indulge in the arts in Victoria. The Nave Museum, located in a gorgeous Greek revival temple built in 1932, features works by Texas artists in six to eight rotating exhibits throughout the year. 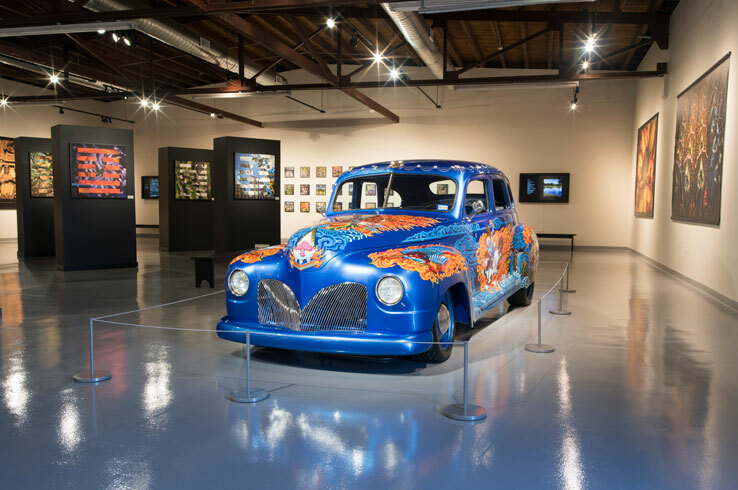 More works of art are displayed at the Five Points Museum of Contemporary Art, host of the annual Victoria Art Car Parade held from late April through the end of June, and numerous diverse exhibits throughout the year. To show off your own creative side, or learn a new skill, take one of the pottery, painting, photography, or sculpture classes at The Victoria Art League. While it’s always fun to check out the kind of art you’d find in a gallery, that’s not all Victoria has to offer. In fact, the town is home to some show-stopping entertainment you’d expect to find in the big city. Laugh, cry, and everything in between when you check out one of the shows by Theatre Victoria, a community theater that puts on five musicals and plays from November through July. There’s also the Victoria Ballet Theatre, which showcases the talents of Victoria’s youth and adult dancers in performances with the Victoria Symphony Orchestra, on occasion. Speaking of the symphony, you can catch a performance by the orchestra at the Victoria Fine Arts Center, a two-tiered auditorium with first-rate acoustics where you can feel and appreciate the music. With the sun shining overhead, you float at a leisurely pace down the peaceful Guadalupe River. Herons and egrets stalk the shallow waters near banks shaded by cypress, oak, and pecan trees. Take a second to feel the breeze and you’ll probably feel as if you’re somewhere in the tranquil Texas wilderness. Instead, you’re on the Victoria Paddling Trail. 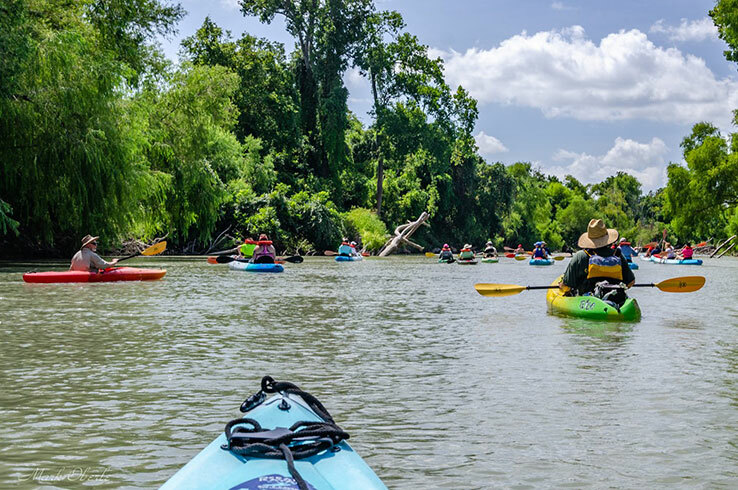 This 25-mile route follows the Guadalupe River from about 10 miles northwest of Victoria to six miles south. With four drop-in points in town, including two in Victoria’s popular Riverside Park, you can choose to have an epic all-day adventure on the water or a relaxing afternoon paddle. Victoria is the kind of place you’ll want to bring your binoculars. Located in the East Guadalupe Loop of the Great Texas Coastal Birding Trail, the town’s parks attract hundreds of varieties of birds throughout the year. Keep a keen eye out when you visit Riverside Park or Coleto Creek Park and Reservoir for a chance to see herons, egrets, bald eagles, warblers, woodpeckers, and more. For even more birding, make the 55-mile drive to the sprawling Aransas National Wildlife Refuge to view as many as 400 species of birds, including the rare whooping crane. 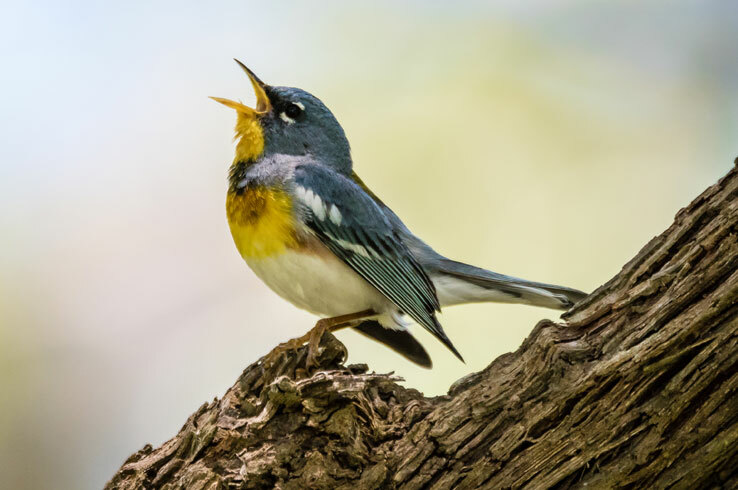 Pictured: A northern parula, which can be seen in Riverside Park in the spring and summer. Cheesy slices of pizza, juicy hamburgers, cedar-planked salmon, and melt-in-your-mouth brisket. Hungry yet? This is just a taste of what you can dig in to in Victoria, where you’ll find restaurants serving foods from around the world in settings ranging from casual to upscale. Burgers, sandwiches and soups made with fresh, local ingredients are on the menu at Huvar’s Artisan Market & Catering. Meanwhile, Rosebud Records Fountain, Grill & Theater combines its old-fashioned charm—right down to the huge collection of vinyl records and a Drink Coca-Cola sign painted on the wall—with a delicious selection of breakfast items, tacos, pasta dishes, and more. Make a reservation at The Sendera for a fancy night out in beautiful downtown Victoria, or stop in at the KB’s BBQ for the mesquite-smoked brisket. KB’s BBQ is just one of several stops along the Great Coastal Texas Barbecue Trail that includes other locations in and near town. Wherever you go, your belly (and your taste buds) will thank you. 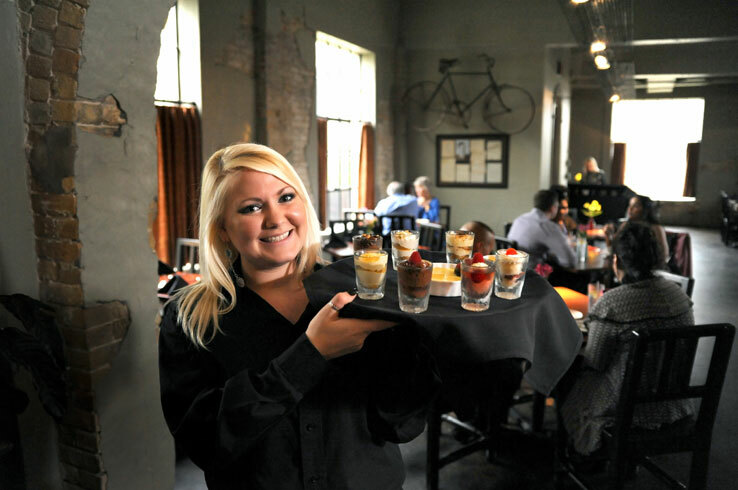 Click here to see a full list of restaurants in Victoria. Yes, you read that right. Feel just like an ancient hunter as you use an atlatl to chuck a spear at a target shaped like a wooly mammoth. While you’re unlikely to find this experience anywhere else, it’s only one of the things you can do at the Museum of the Coastal Bend. Embark on a tour of 13,000 years of Texas history as you examine the tools, personal effects, and other artifacts from the Native Americans, Spanish, and French that once called this corner of the Lone Star State home. Don’t miss the seven cannons brought to Texas by 17th-century French explorer Robert de La Salle, the museum’s main centerpiece. 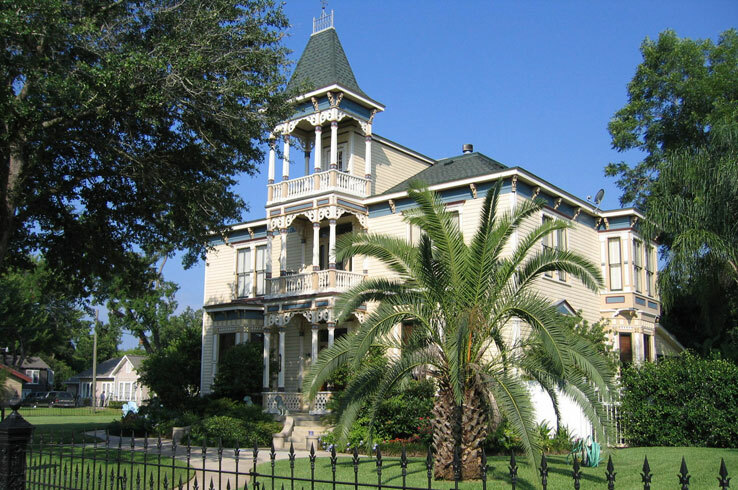 There are many other historical wonders to behold throughout Victoria, one of the oldest towns in the Lone Star State. Follow the signs for Victoria’s Trail Through Time to see displays that tell the tales of the events that shaped the town into what is today. The self-guided Old Victoria Driving Tour is another great way to uncover the town’s past. Along this route, you’ll encounter stunning 19th-century homes and other architectural wonders. If your kids are your road-tripping companions, they’ll have just as much fun in Victoria as you will. Take them for a walk on the wild side at the Texas Zoo, home to alligators, barn owls, ocelots, lions, and other animals from around the world. For air conditioning, arcade games, and laser tag in a three-story arena made to look like a towering fort, look no further than Laser World. You’ll find even more kid-friendly entertainment at the Outlaw Pass Family Fun Center. 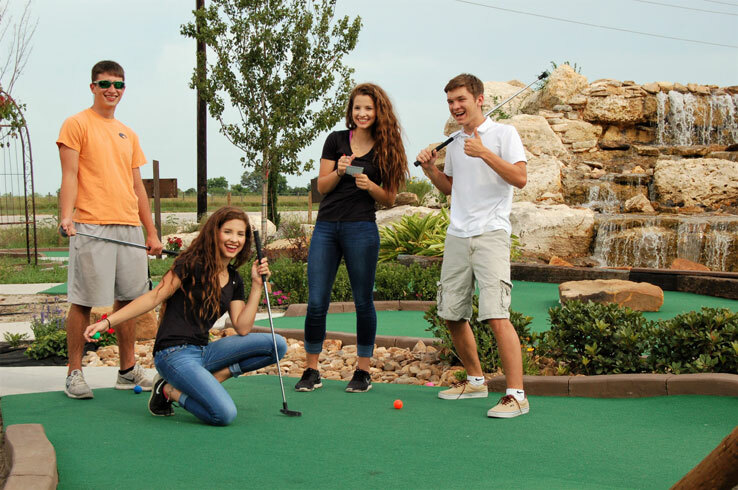 Play a round on the 18-hole miniature golf course, show off your racing skills on the go-kart track, climb the rock wall, and go for a ride on the pint-sized El Paso Train. To mix in a bit of education into your road trip, let your youngsters expand their minds with the interactive exhibits at the Children’s Discovery Museum. With so many places to go, there’s something for kids of all ages in Victoria. Given its arts and live music scenes, abundance of fantastic dining, and all the ways you can enjoy the outdoors, Victoria is an all-in-one destination with something for everyone. Discover everything else Victoria has to offer here.